All of Susan Cariello hand made bags are totally original and unique. 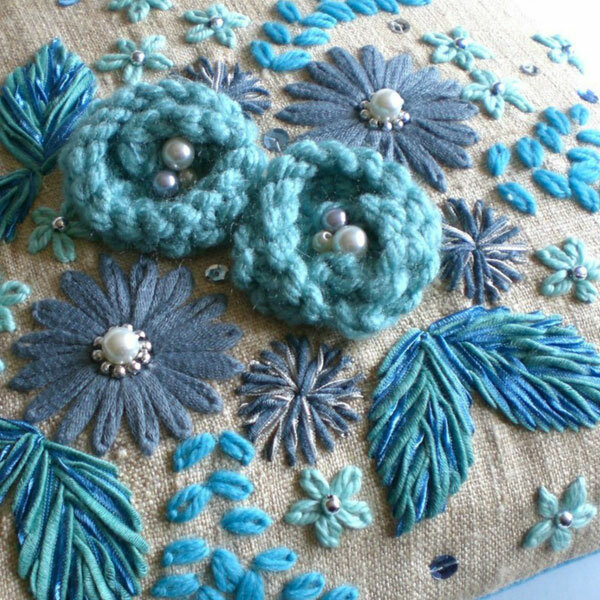 Each one is entirely hand-embroidered and hand-embellished, in contrasting yarns, beads and sequins, on rich wools and cool linens, creating a truly individual and distinctive look. They are all fully lined, including an inner pocket and magnetic clasp. Clients include Calvin Klein, Ralph Lauren, DKNY, Liz Claiborne, The Gap, Cynthia Howie, Tommy Hilfiger, Caroline Hererra and Marks & Spencer. Susan launched a craft book in 2011 called ’20 Floral Bags to Make’. It shows how to re-create 20 of my stunning, gorgeous bags from embroidery techniques to the actual making up, suitable for absolute beginners to the more advanced, all based on 12 simple stitches that I use in my designs. 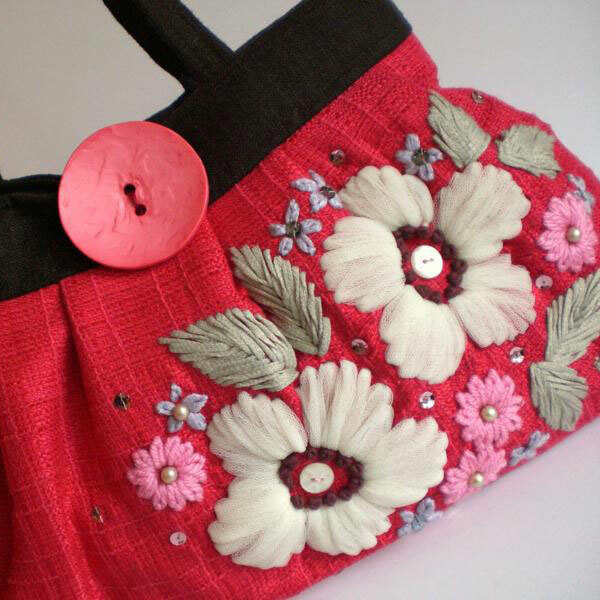 Along side my hand-made bags, I am still running a whole variety of One-Day Workshops, including contemporary hand-embroidery techniques, bag construction, and making your own hand-embellished cushions & accessories. Susan’s workshop can be found on her website.